The consecutive G20 presidencies of China and Germany provide a chance to further deepen bilateral cooperation. But while there is agreement on some issues, others like tax havens and debt-financed growth may prove thorny. Preparations for the G20 summit in Hangzhou in early September are in full swing, while the German G20 chairmanship and the July 2017 summit in Hamburg are not far off. The focus areas of the Chinese G20 agenda have already emerged: Among other things, Beijing is paying particular attention to infrastructure investment and the development of a green financial system. With regard to Germany’s plans, less is known. Against the backdrop of the discussion triggered by the Panama Papers, Chancellor Angela Merkel underlined that the fight against tax havens will play an important role during Germany’s G20 presidency. Meanwhile, Finance Minister Wolfgang Schäuble’s forceful criticism of debt-fueled growth in the context of a G20 meeting in Shanghai earlier this year suggests that dealing with rampant indebtedness in many parts of the world could also be high on Germany’s G20 agenda. Based on the success of China’s development strategy over the last three decades, Beijing considers infrastructure investment a crucial tool to unleash development potential and stimulate growth in the framework of the G20. The G20 already initiated a Global Infrastructure Investment Initiative at the 2014 summit in Brisbane. Yet it was China’s establishment of the Asian Infrastructure Investment Bank (AIIB) that drew global attention to infrastructure gaps hindering development. When it comes to debt-financed infrastructure investment, the German government is generally hesitant. Yet there is no doubt that it is also interested in tapping new sources of growth. 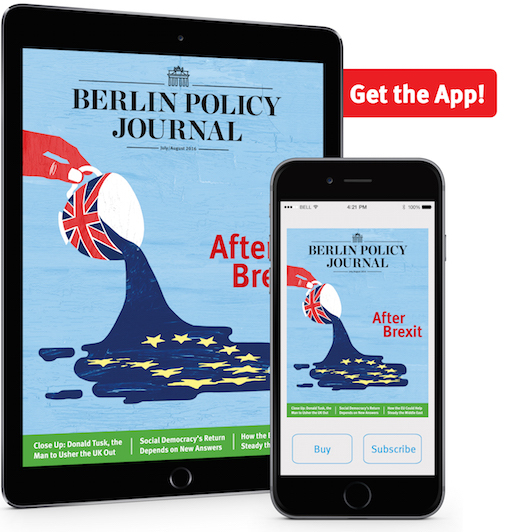 By joining the AIIB – Germany actually holds the largest voting share among non-regional members – Berlin has already demonstrated that it will contribute to closing the global infrastructure gap. To further support China in its efforts to strengthen global infrastructure connectivity, Germany could build on its experiences with the infrastructure investment programs of its Kreditanstalt für Wiederaufbau (KfW), the European Investment Bank, and the European Bank for Reconstruction and Development to promote the development of socially-, environmentally-, and financially-sustainable lending standards within China’s initiatives. There may also be opportunities for cooperation between China and Germany in the development of a green financial system. Green finance aims to promote environmentally friendly projects through the creation of special financial products, setting the course for more sustainable growth by factoring environmental impact into credit-granting decisions. China has taken up the cause of “greening” its financial system to avoid environmental degradation becoming the collateral damage of its rapid economic growth. It became clear that Beijing places a high priority on greening its financial system in 2014 when China’s central bank collaborated with the United Nations Environment Program to set up a Green Finance Task Force. Consistent with China’s increasing integration into the global financial architecture, Beijing now also wants to promote green finance within the G20 and has established a Green Finance Study Group within the G20’s finance track. When it comes to greening the global financial system, Germany may not be as suitable a partner as the United Kingdom, which is backing this trend in an effort to provide fresh impetus to its own financial industry. Nevertheless, Germany also has something to offer in this regard, given that green finance plays a growing role in the country’s development cooperation. In this context, the Global Climate Partnership Fund, initiated by the Federal Ministry for the Environment and promoting green growth in emerging markets, is particularly worth mentioning. It is also in Germany’s interest to encourage environmentally friendly growth in China since this would open up new business opportunities for German producers of environmental technology. 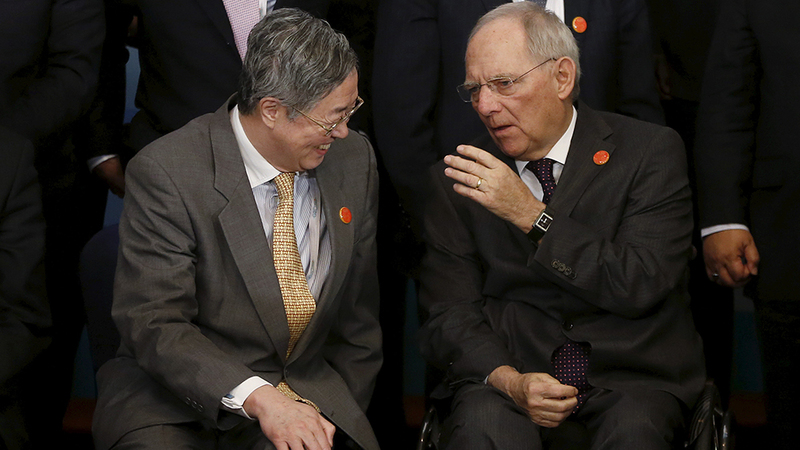 In the fight against tax havens, German-Chinese cooperation will prove much harder. Not even two weeks after the first reports on the Panama Papers were published, the G20 again put the topic on its agenda. During their April meeting in Washington, the G20 finance ministers and central bank governors announced that they would consider “defensive measures” against uncooperative countries, and reiterated their call for financial transparency with regard to the beneficial ownership of legal persons. Germany, along with France, the UK, Italy, and Spain had been the driving force behind this initiative. The Chinese government needs to be given credit for having been flexible enough to consider the European proposal on short notice. Besides, it is beyond question that China has a great interest in putting a stop to tax evasion in principle given that the country is facing growing holes in its state coffers. Beijing has thus played an active part in the OECD-led project on the fight against base erosion and profit shifting of multinational companies (BEPS). Moreover, the Chinese Communist Party will also link its ongoing anti-corruption campaign, the largest in China’s history, with G20 efforts to halt illicit capital outflows. Nevertheless, offshore companies aimed at concealing personal wealth remain a highly sensitive topic in China. In many cases, family members of the ruling elites try to hide their money behind shell companies. In order to protect these so-called princelings and prevent their secret dealings from casting a poor light on the Communist Party, Beijing does not allow any reporting on dubious offshore companies. The government also censored all media coverage of the Panama Papers, which revealed, among other things, that the brother-in-law of Party Chairman and State President Xi Jinping temporarily served as director of three offshore companies in the British Virgin Islands. That almost nobody in China wants to touch this topic explains why China has suspended the anti-corruption task force of the B20 – the business outreach group within the G20 process. In recent years, the group had developed proposals on how to increase the transparency of offshore financial arrangements. According to media reports, no Chinese company was willing to lead the task force. If the German government wants to focus on the fight against tax havens during its G20 presidency, it can hardly count on Beijing’s wholehearted support. German-Chinese cooperation will also hit obstacles in the fight against the rampant indebtedness of both the public and the private sector in many parts of the world. Within the G20, Germany has long been the fiercest critic of debt-financed growth. In the run-up to the February meeting of the G20’s finance ministers and central bank governors in Shanghai, Schäuble was particularly outspoken, stressing that “the debt-financed growth model has reached its limits” and that “talking about further stimulus just distracts from the real tasks at hand.” To lay the foundations for sustainable economic growth, he said, structural reforms and debt reduction were needed, rather than loose fiscal and monetary policy. In this context, Schäuble explicitly praised China for having made structural reform a top priority in this year’s G20 agenda. However, upon a closer look at China’s position, it quickly becomes evident that Beijing only appears to be a suitable partner on paper. In 2013 the Chinese Communist Party announced a comprehensive reform package meant to lay the foundations for a growth model based primarily on the growth drivers of domestic consumption – innovation and the services sector. Yet in most areas reforms have either stalled or never even left the gate. The main reason for this lack of progress is that the government has time and again unleashed stimulus measures to fight the economic downturn and halt rising unemployment in an effort to prevent sinking growth rates from turning into a political problem. While in early 2016 the Chinese leadership initiated another push for “supply-side reforms,” there were no signs that China would be able to solve its debt problem quickly; in fact, debt continues to grow much faster than the economy. Before the outbreak of the global financial crisis, China’s total debt only amounted to about 150 percent of GDP. Yet in the first quarter of 2016, it had reached around 240 percent of GDP – a dangerous level considering the country’s stage of development. No turnaround is in sight, and the government’s efforts to contain rising financial risks have so far remained lukewarm. If Berlin wants to make use of its G20 presidency to constrain debt-financed growth and shape the global debate on structural reforms, it should start looking for other partners. is Head of Program "Geoeconomics and International Security" at the Mercator Institute for China Studies (MERICS) in Berlin.